Changing diapers is rarely a favorite part of parenting. And there’s nothing worse than a stinky diaper pail! The dread that fills your body as your reach over to open the lid, holding your breath against the toxic-smelling fumes that waft out and fill the room. Slamming the lid down in the futile attempt to keep the odor from filling the entire house. How in the world can something so adorable make something that smells so bad?! Well, take a deep breath and relax, because the following tips and tricks along with a DIY Diaper Pail Deodorizing Disks recipe are easy ways to naturally ditch the diaper pail stink! 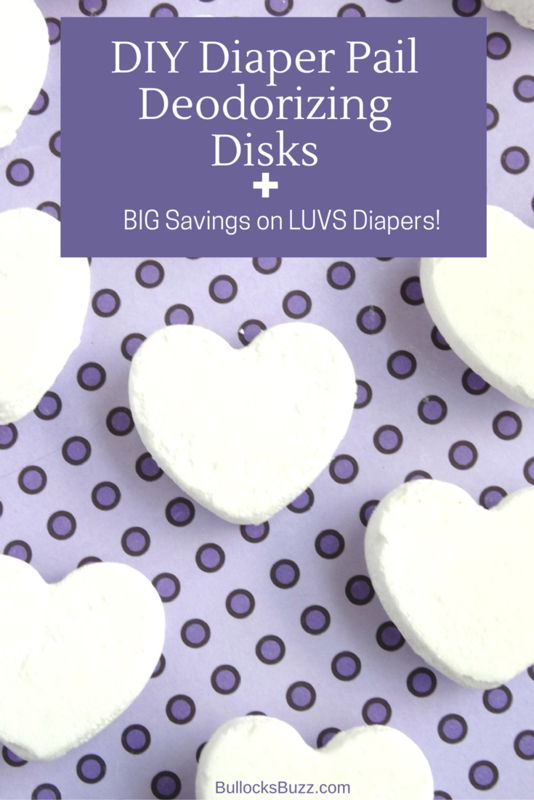 Plus, stick around to see how you can stock up on Luvs diapers and save! Fewer diapers means less stink. By removing the dirty diapers daily, there will be less diapers in the pail for a shorter amount of time. Baking soda absorbs odors naturally. Sprinkling some into the bottom of the pail each time you change the liner will go a long way towards helping control odor. Additionally, keep some baking powder in a salt shaker near the changing table, and then add a few shakes each time you toss in a diaper. You can also mix a few drops of your favorite essential oil with about 1/3 cup of baking soda. Depending on which essential oil you choose, you may need to add more or less oil, as some are stronger in scent than others. I usually add 4 to 6 drops of lavender, or 3-4 drops of a citrus oil. Essential oil – your favorite scent. I love using citrus oils like sweet orange and lemon!  Muffin pan – silicon works best for me! Add a few drops of essential oil to approximately 1/2 cup water. Again, how many you add depends on the scent you choose and how strong you want it. Pour the scented water into the bowl with the baking soda, and mix well. Gradually add and mix in more water until you have a thick paste. Fill each muffin tin with one half-inch of paste, gently pressing to remove air bubbles. Let dry for 24 – 48 hours. Once completely dry, gently remove each disk. If you used paper liners, peel those off. Add one disk to the bottom of your diaper pail, storing the others in a jar or Ziploc bag. After you’ve used a disk for 2 weeks or however long you find it effective, replace with a new one. And speaking of diapers… with Labor Day right around the corner Luvs is giving out an exclusive money-saving offer! 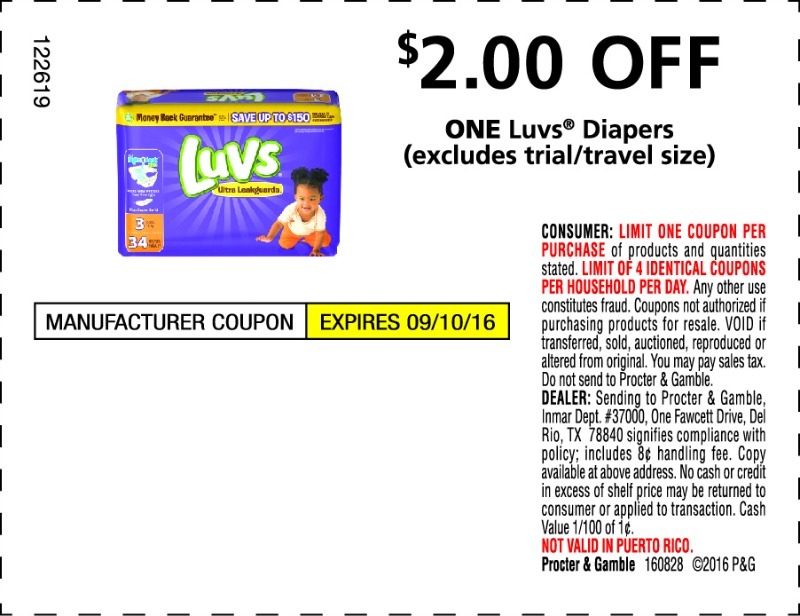 Make sure to pick up a copy of this Sunday’s paper (August, 28th 2016) because there will be a high-value coupon that could save you up to $2 on any one Luvs Diaper Pack! You can use the coupon at any mass, discount, or grocery stores where Luvs Diapers are sold. But hurry, the coupon is only good through the 10th of September, 2016! 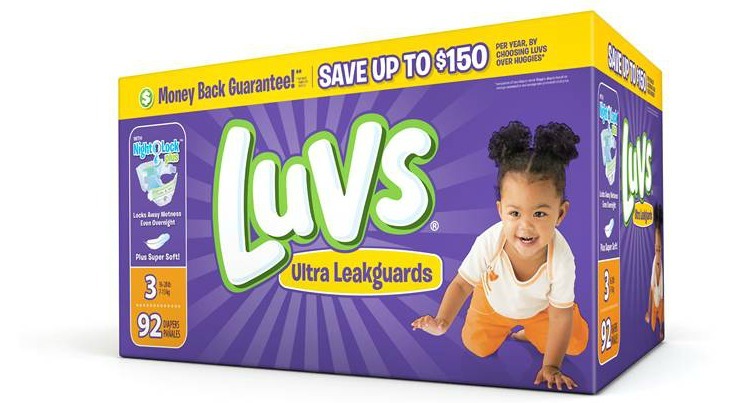 Luvs has long been the official diaper of experienced moms…. and for good reason. Their diapers provide the high-quality features us parents – and our babies – need for less than the cost of premium brands. With super soft cottony material that’s gentle on baby’s skin, a contoured shape that hugs for a great fit, Leak Barrier Leg Gathers, and a Leakguard Core, Luvs regular diapers do a great job of keeping leaks inside the diaper so babies stay dry and comfortable. Plus, the large re-fastenable stretch tabs make it a cinch to fasten and unfasten as needed. Luvs with NightLock feature Super Absorbent Leakguards and NightLock Plus™, its largest absorbency area ever, locking away wetness and absorbing even more than regular Luvs. Moms and dads can rest easy knowing that Luvs is providing your little one with a secure, snug and comfortable fit. In fact, Luv’s feels so strongly about their diapers that they’ve actually guaranteed them! If you aren’t satisfied with the leakage protection of Luvs, they’ll refund your money. To find out more, visit the Luv’s website, at www.luvsdiapers.com. Luvs Diapers are available in sizes newborn through 6 and are available anywhere that baby care products are sold. 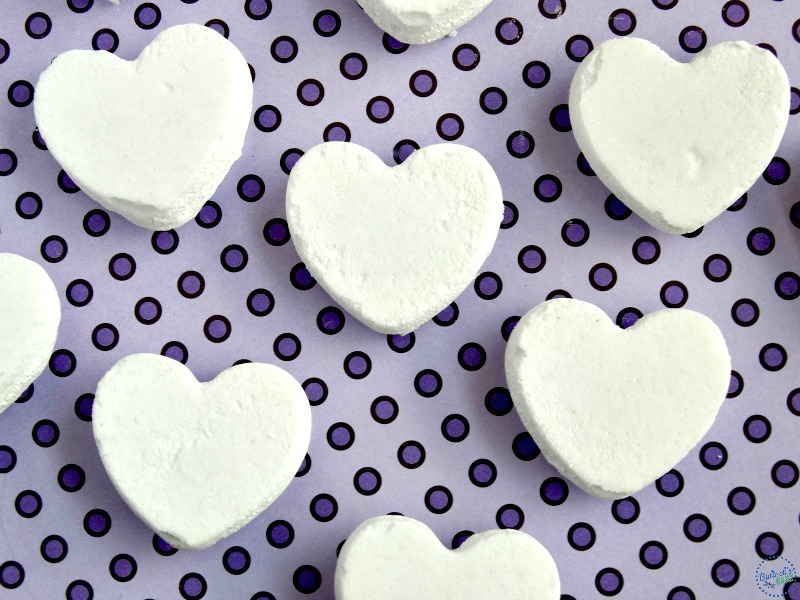 Have you ever used DIY diaper pail deodorizing disks? What are some of the ways you control diaper pail odor? Share with us in the comments below. I really appreciate with these tips these are you recommended here. This is really helpful article specially for the mom. Hope so they will be happy to see it. I will must share it to my wife. Hope so it will be helpful for us. If you had more insight i will greatly appreciate it. Thanks for the sharing such a informative also helpful article.